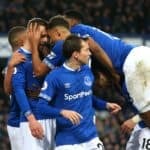 Moyes set to stay with Everton. Everton manager David Moyes has spoken of his contentment and willingness to remain manager of Everton. In a week that his seen him linked to jobs at Aston Villa and Spurs, he has moved to quell rumors in an interview with Andy Gray and Richard Keys. “It’s not fashionable now to be in a job for nine years. It’s more fashionable for supporters to see a change, so I’m very fortunate. “I’ve always said I wouldn’t want the supporters to get fed up of me because at the end of the day it’s their football club, it’s not mine. I’m there to do the job and try and do it to the best of my ability. 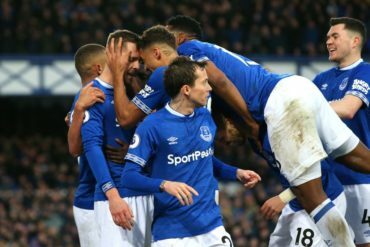 Moyes also admitted his disappointment with Everton’s season so far after the Blues were tipped for big things at the start of the campaign. He added: “I went into the season with more confidence in the team. Last season we finished having lost two of out of 24 games. If you just counted those 24 games I think we may have been Premier League champions. If not we would have been second. "I went into this season saying we only need to go close to that and we’ve got a really good chance of being near the top. I think that’s where my disappointment has come. I’m fed up of saying to the supporters every year let’s just avoid relegation. "I wanted to see if I could change the way that we started the season by talking more positive about it, building it up a bit more, and saying to the players come on this is what is expected of you now. As it is it fell flat on its face and I’m really disappointed I haven’t been able to get to the level that I hoped to. "I knew we were short of a centre forward and maybe more than one. I got Jermaine Beckford, who had jumped two divisions, and I was saying let’s not put too much pressure on him, get him off the bench, play some games at the right moment and that’s the ideal way to introduce him.